The lovely Miss Shauna from Shwin & Shwin is here today- we’re so excited! 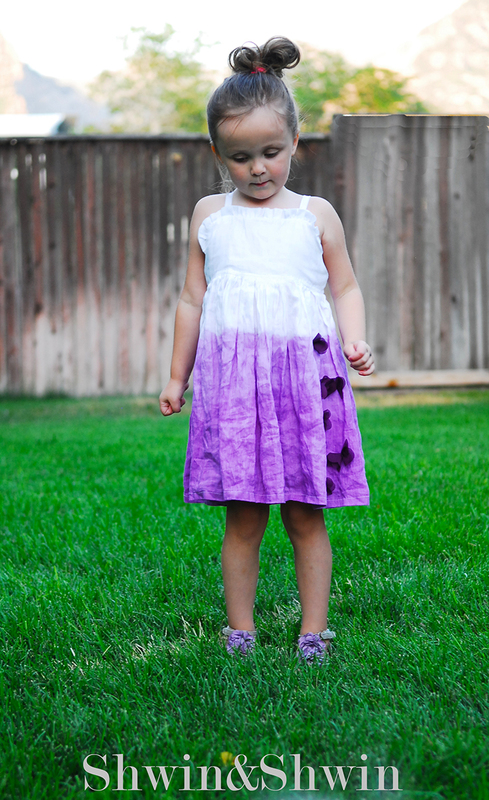 And her purple project for Color Your Summer is fantastic! Hi there kojo readers! Don’t you all just love Color Your Summer? It’s one of my favorite series out there and mainly because I LOVE color! Red, Orange, Yellow, Green, Blue and of course Purple too. I love them all I use them often but you know if there was one color that was not my favorite, it’s Purple, eepp… I know I know, I have purple for color my summer. I choose purple because it is my daughters favorite color. She lives for purple. If she could BE purple then she would. So I thought it would be a fun challenge to create something purple that we could both love. I like to sneak purple into a design whenever I can, but a design all about purple? That’s when I decided I had to make a sundress. 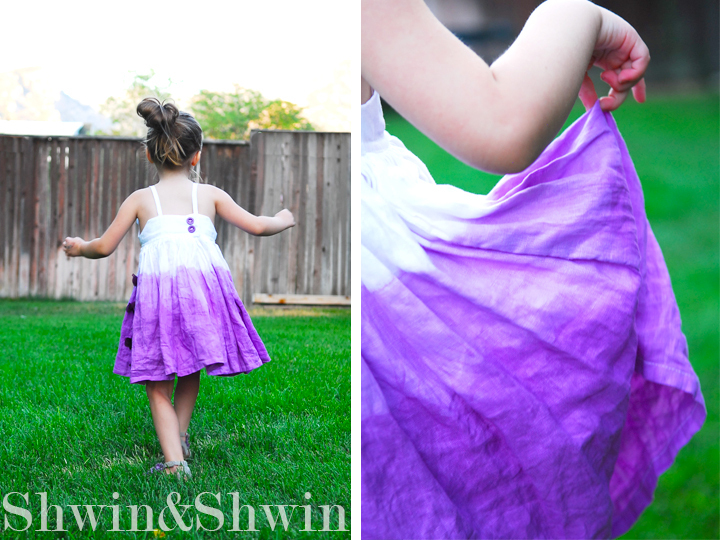 Nothing would capture the design better than a dip dyed linen sundress. White and purple are my favorite combination. There is nothing more delicious than some white handkerchief linen, easy and breezy for hot summer days and it takes dye really well. 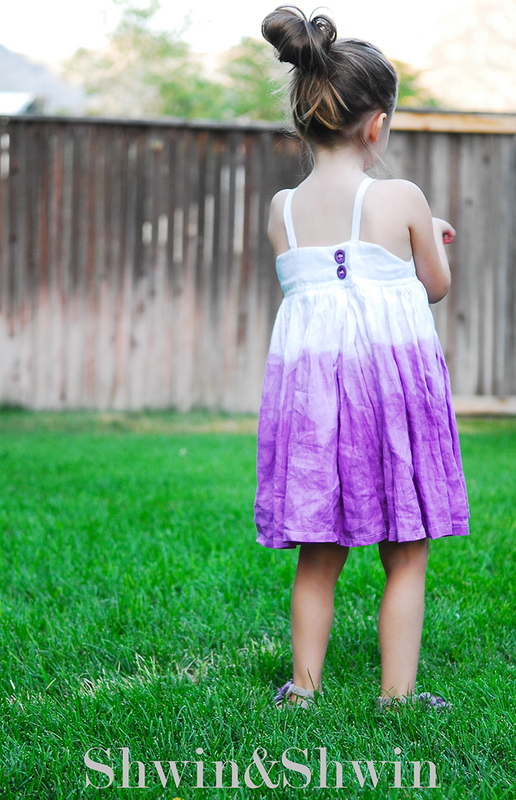 So I made a simple little sundress and dyed it my daughters favorite shade of purple. 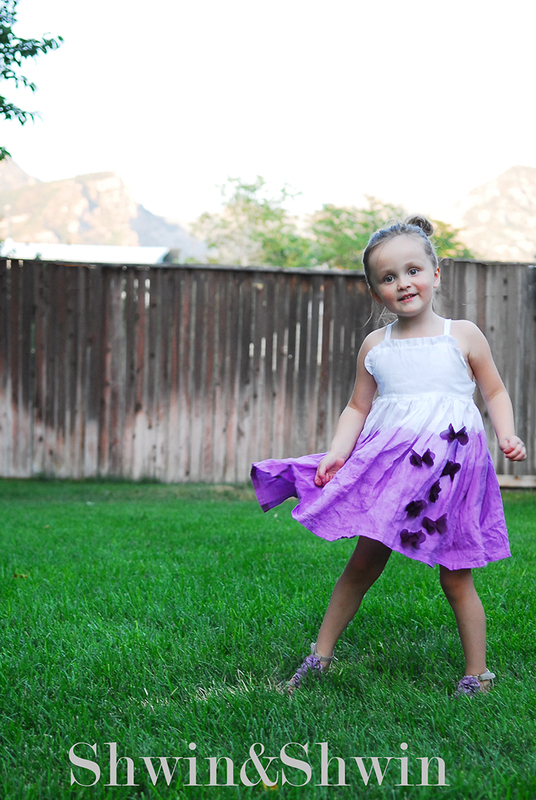 I even added some little purple butterflies which she loved more than anything. 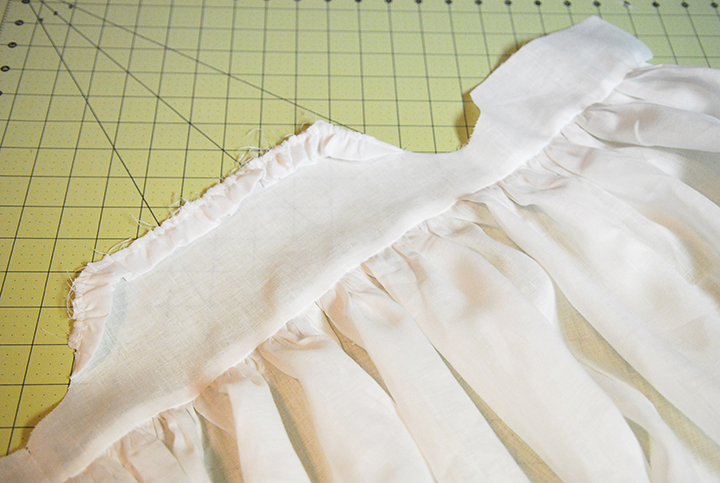 To start fold the ruffle piece in half. Press. Then sew a basting stitch along the raw edge and pull to gather. 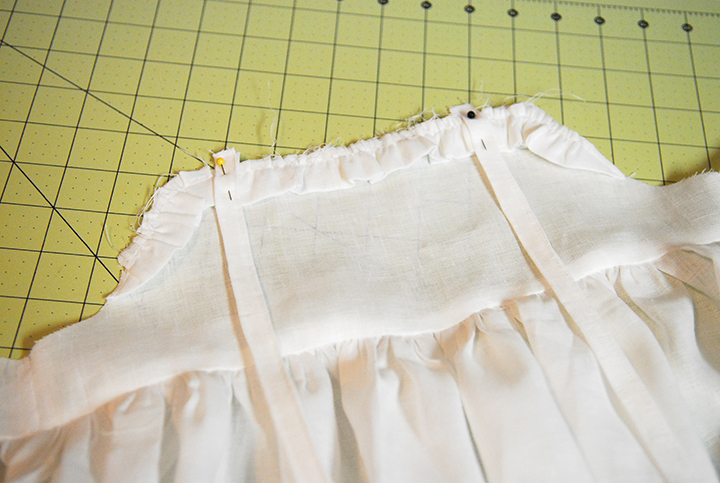 Now sew the front and back skirt pieces together at the sides. 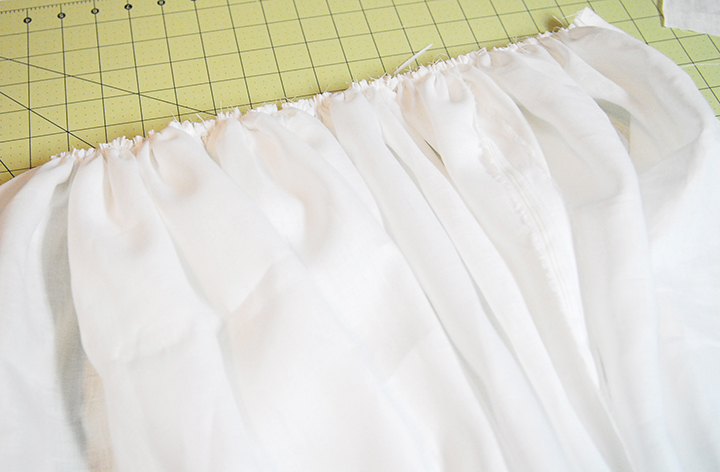 Then for the center back skirt pieces fold the edge under twice and stitch in place stopping a few inches down from the top. 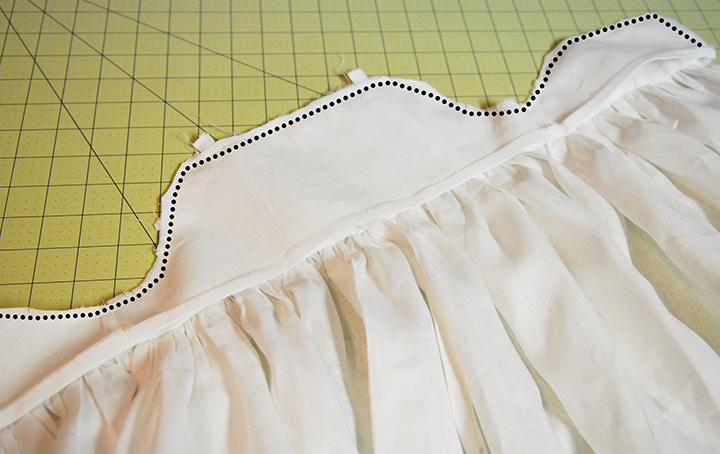 Gather along the top edge of the skirt pieces. For the straps fold the pieces in half and press then fold the raw edges in toward the center fold and press. 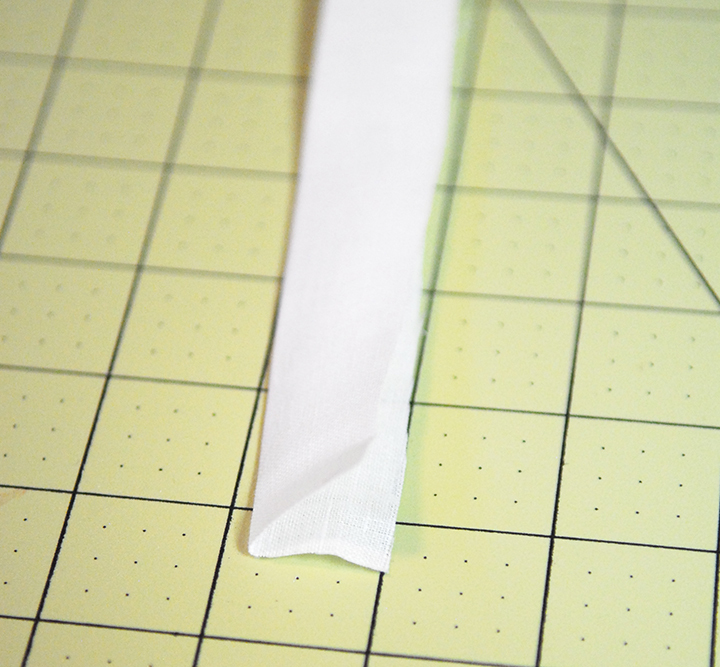 Sew along both edges to finish the strap. 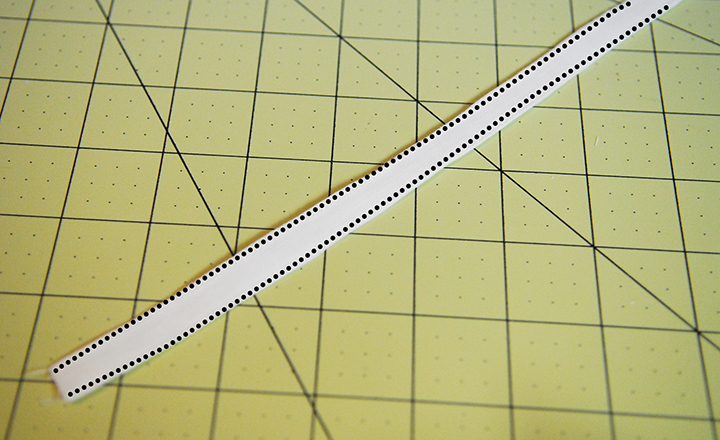 Now place your straps 1″ in from either edge. Place the straps facing downward raw edge sticking up. 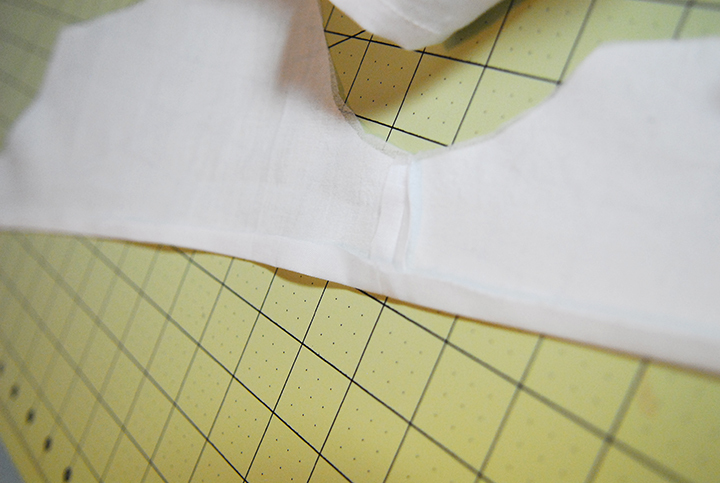 Then place the lining along the bodice so right sides are together. Sew along the center back across the back and up across the front down to the other center back. Clip corners and curves. 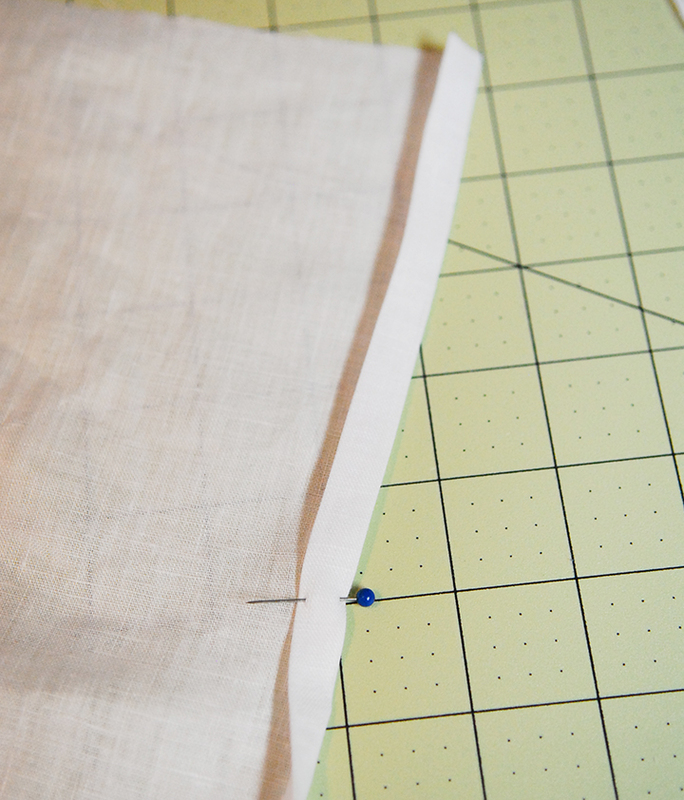 Now turn the lining around to the back and top stitch along the folded line. Now you can leave the back as is and simply sew the rest of the center back finished like you did the top, or you can sew the two back pieces together from the finished line down. 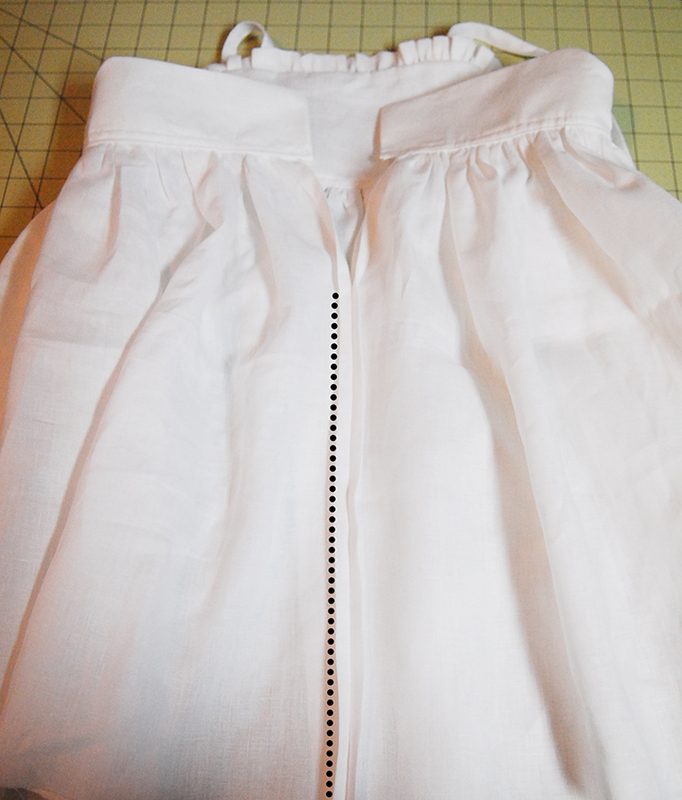 Then hem the bottom of the skirt piece. Lastly add buttons to the back adjusting the back to fit how you want. Now for the fun part. Dye Time! 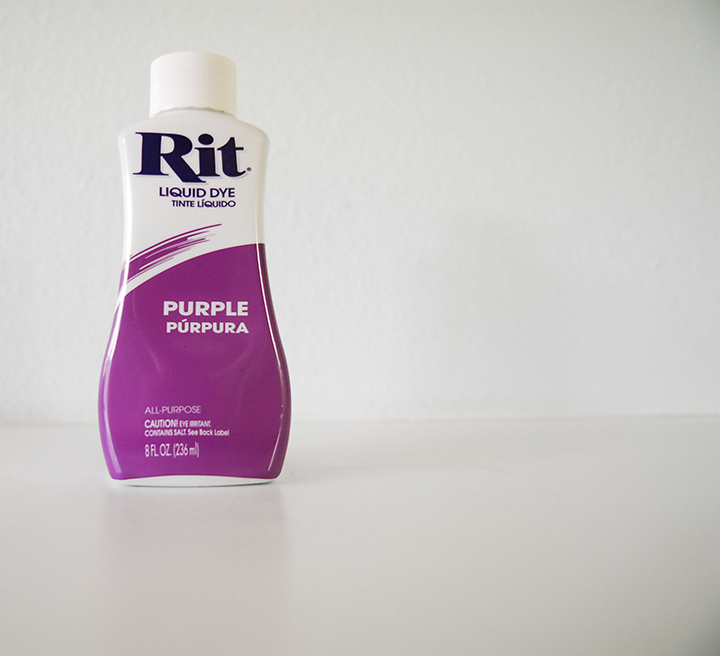 I grabbed my trusty Rit Dye, in purple. I do all of my dyeing in a large bowl in my kitchen sink. I turn my tap water to as hot as it gets and then I add water and salt to the bucket. Then I mix in the dye and I am ready to go. To dip dye, I add the dress up to the point I want the color to start. 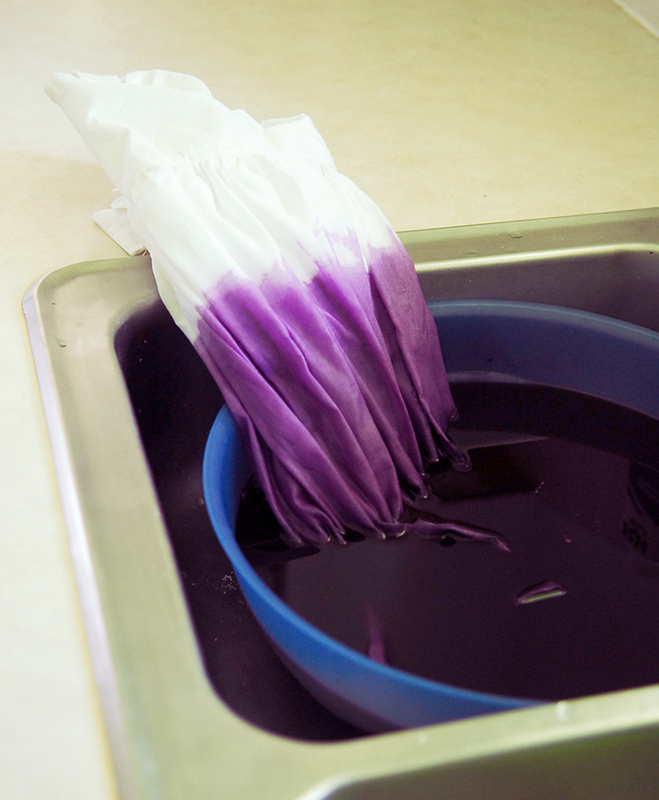 I make sure the whole thing got soaked through then I lift the dress from the dye bath slowly. 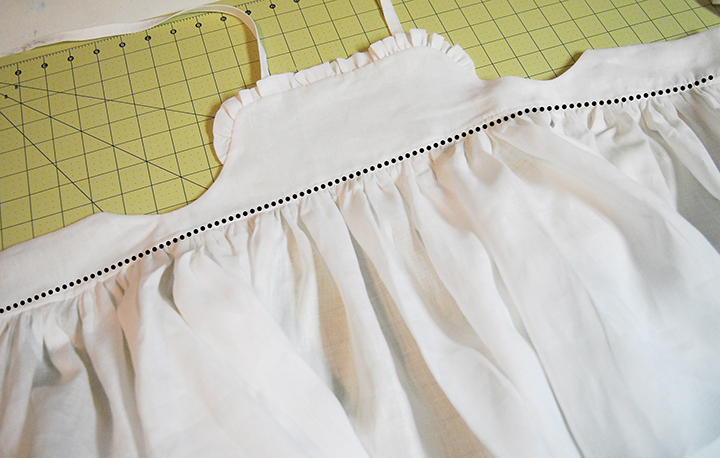 Once the end has been in long enough I rinse and wash the whole dress careful not to splatter on the white part. Then after the dress is dry it is ready to be worn. 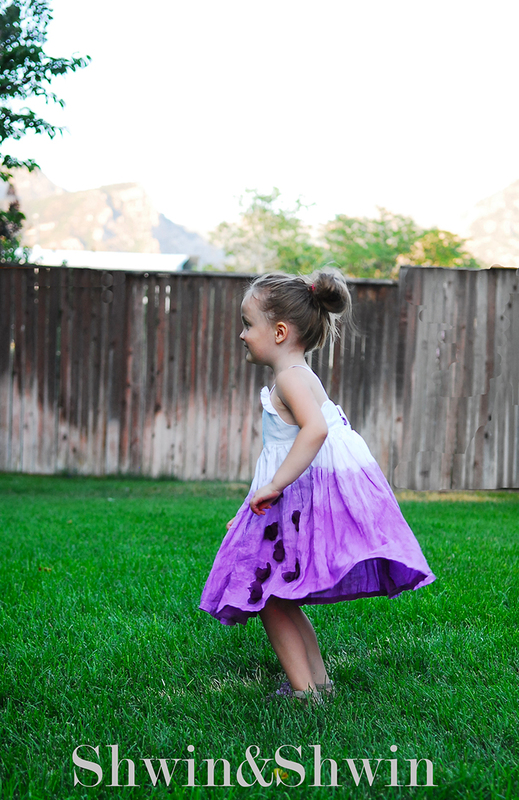 It has such a nice gather its full and fun to twirl. Sweet little button back. 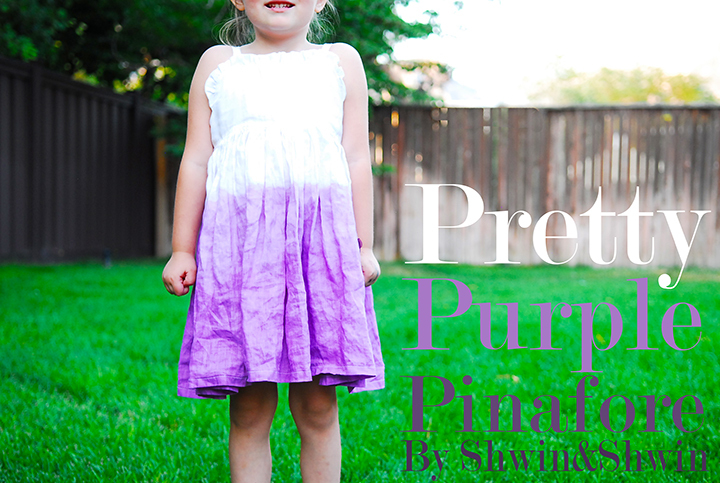 It’s the perfect little purple pinafore. Thanks so much for having me I hope you have a very colorful summer! 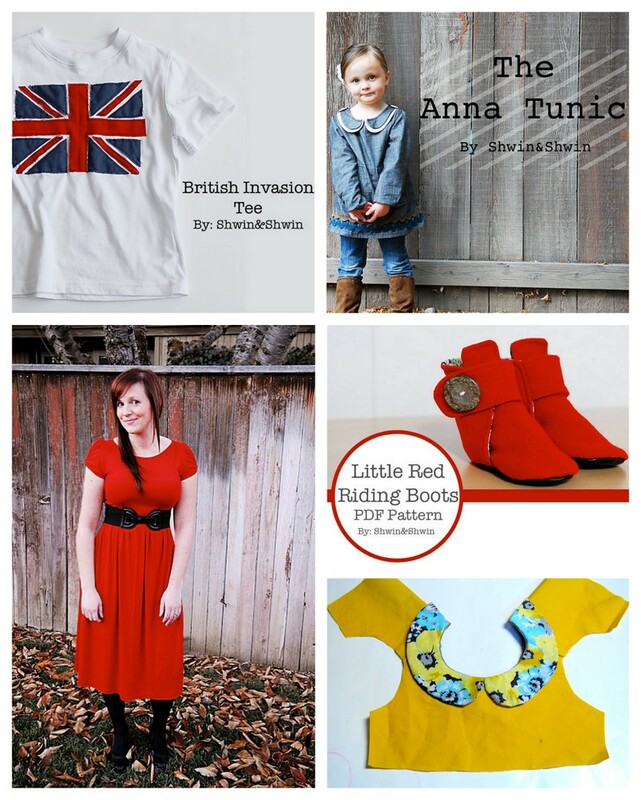 Shwin & Shwin is brimming with goodness in all colors- like this cute Anna tunic, totally making this British Invasion shirt for Burke, this oh-so-cute boots pattern, and this darling knit dress (isn’t Shauna just the cutest ever?) 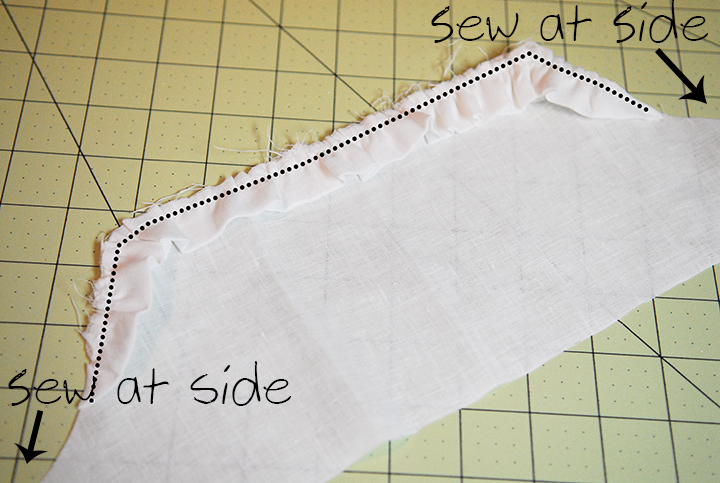 and this Sewing 101 series is full of fabulous information. 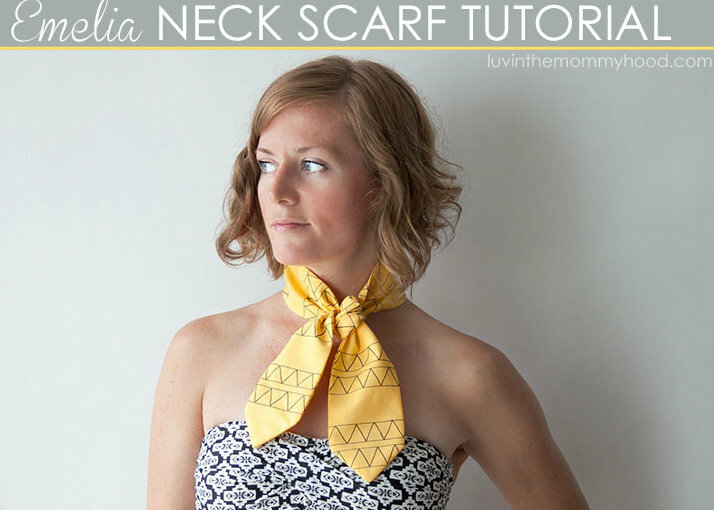 Be sure to stop by Delia Creates today too- there’s a fabulous neck scarf tutorial there today. This is so pretty! Love it Shauna! Pinning….